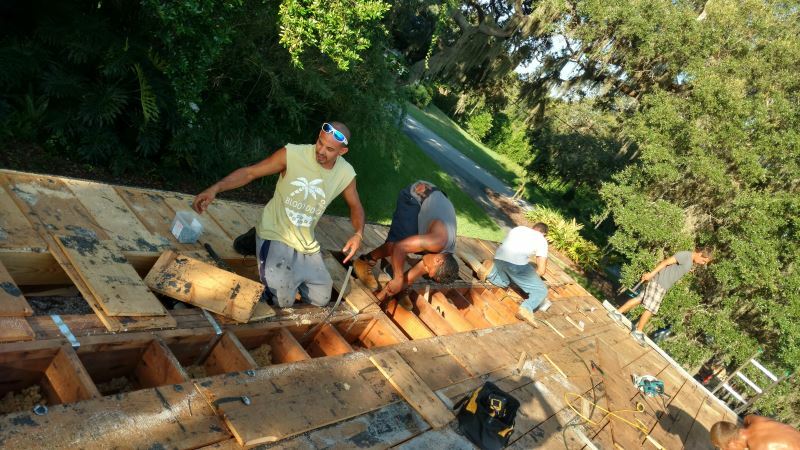 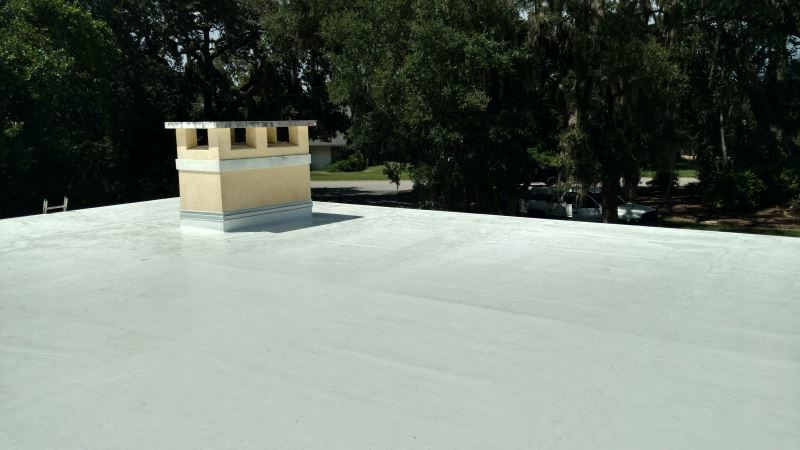 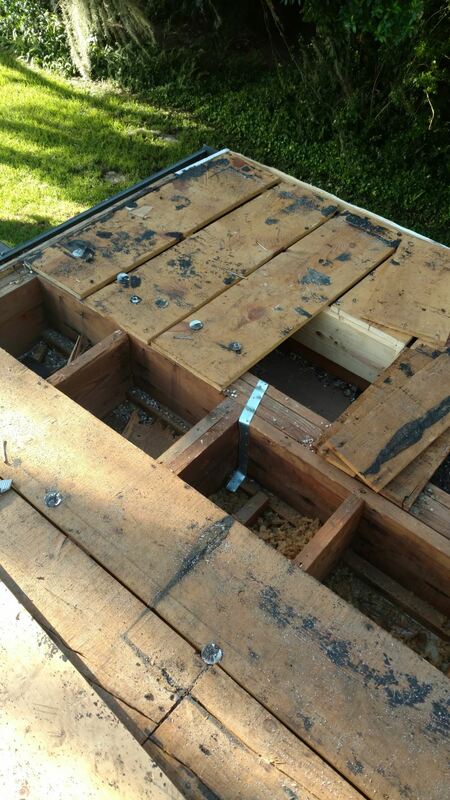 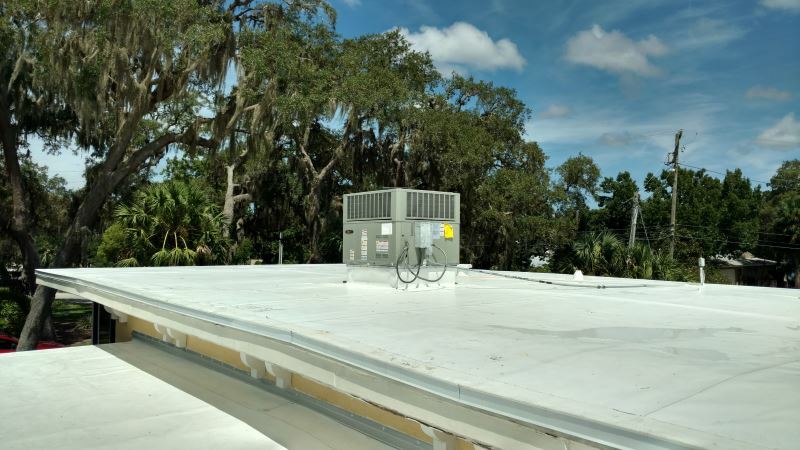 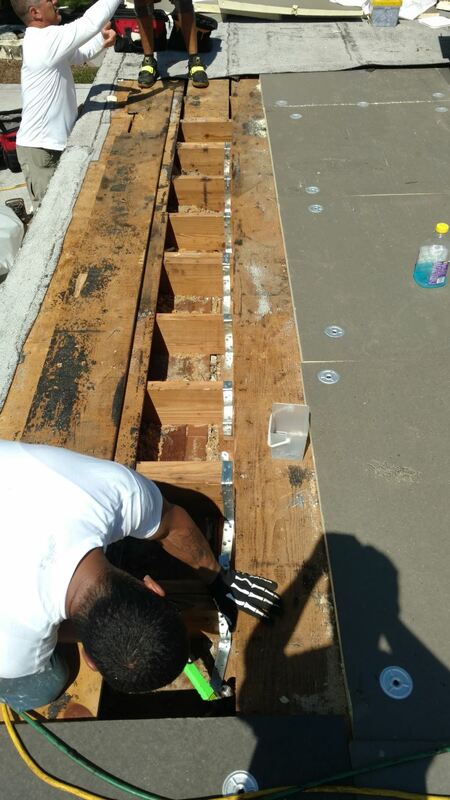 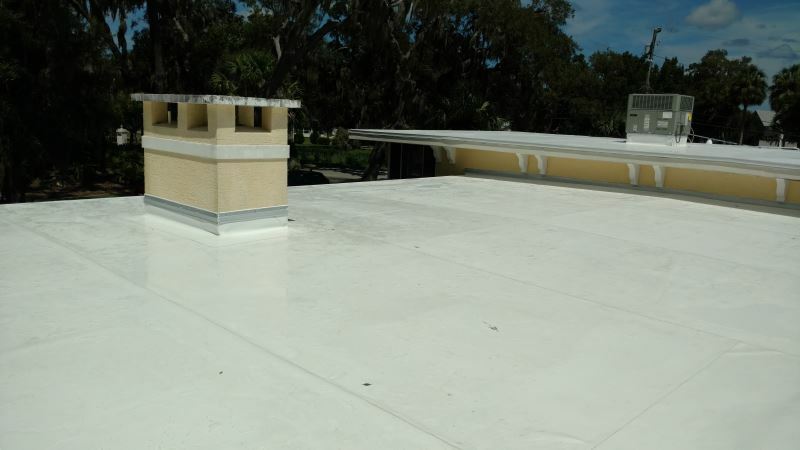 The pre-existing modified roof was removed down to the wood deck and thoroughly inspected. 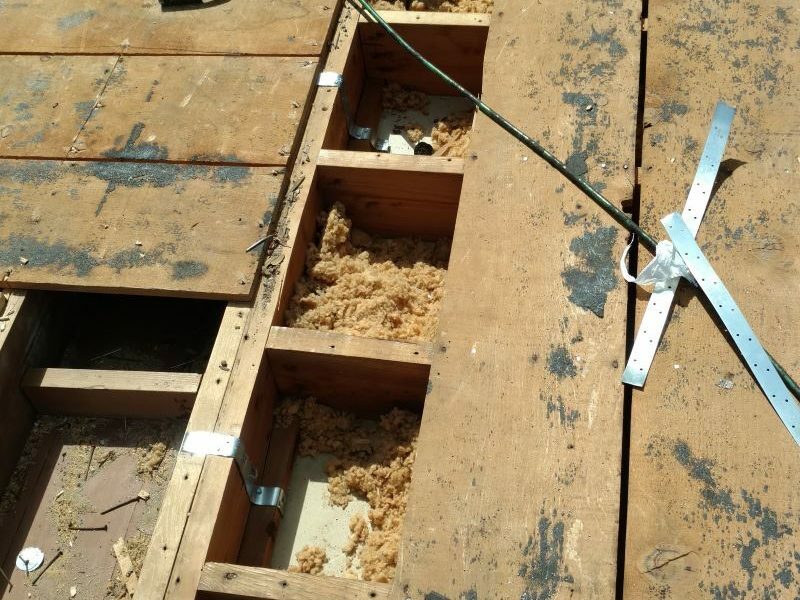 We found three rotten/damaged boards which were removed and replaced with new pieces and nailed to current building code. 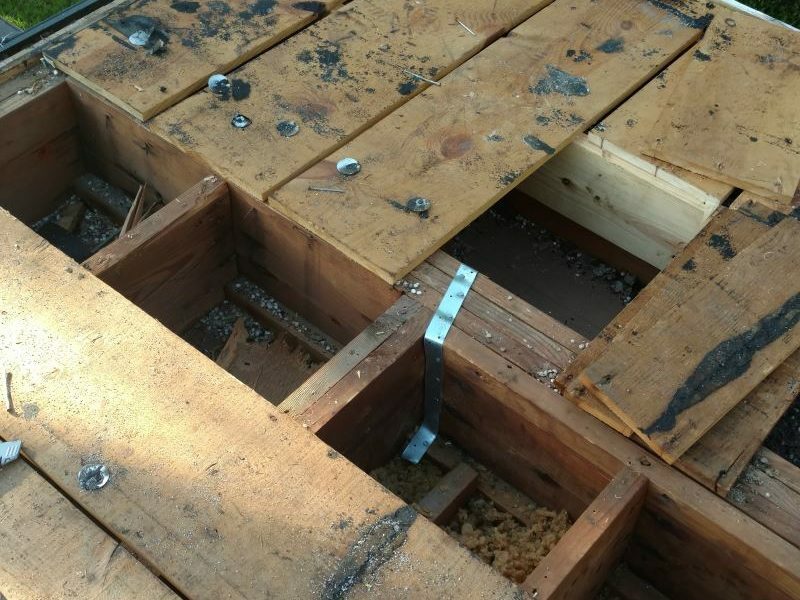 We re-nailed the wood deck per Florida building code with 8d ring shank coil nails every 6″. 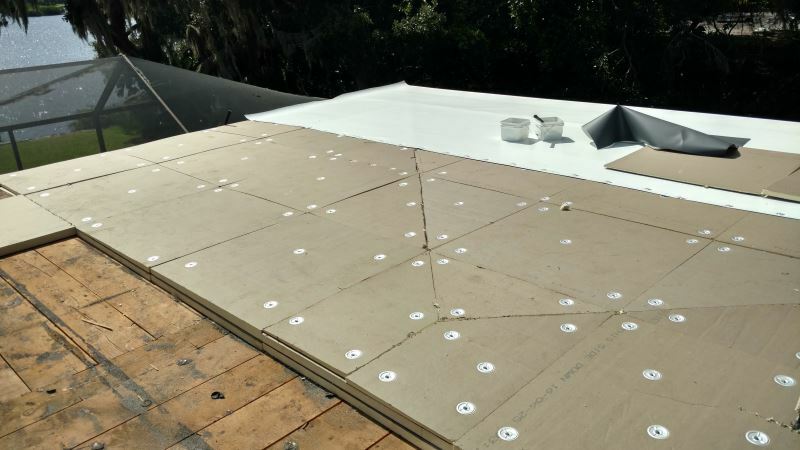 Next, we installed tapered insulation over the existing deck in order to elevate the roof so that water runs off and does not pool. 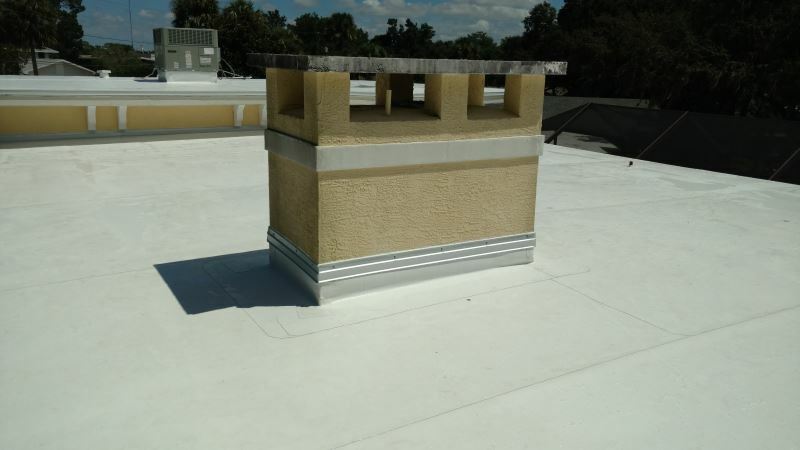 Installed new 7″ drip edge with roofing cement on top of the drip edge. 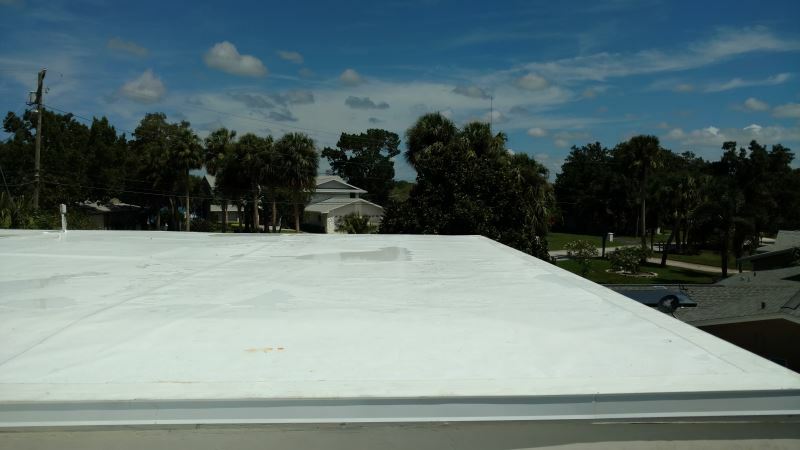 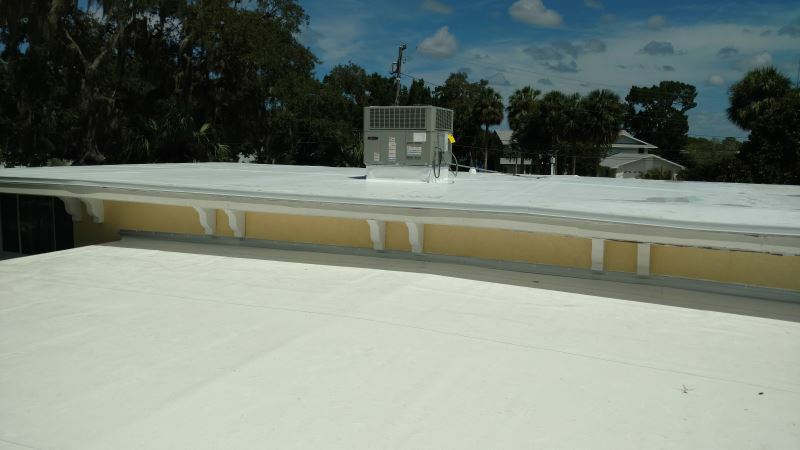 Installed 60 mil thick TPO (thermoplastic Polyolefin). 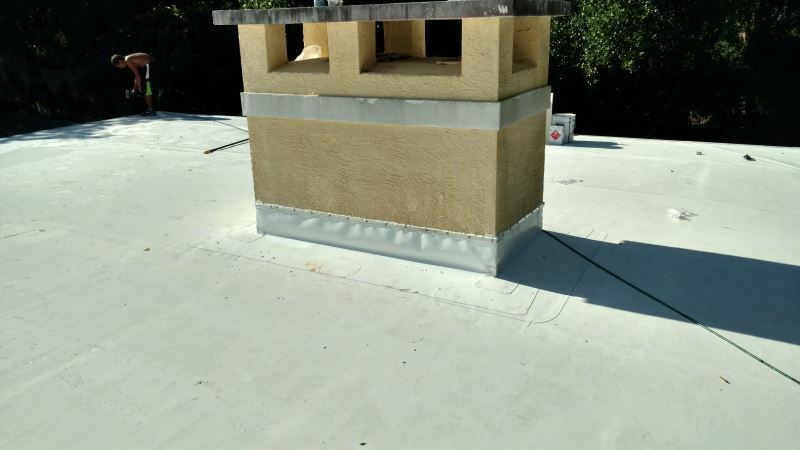 Installed proper flashing around all pipes, vents, and penetrations. 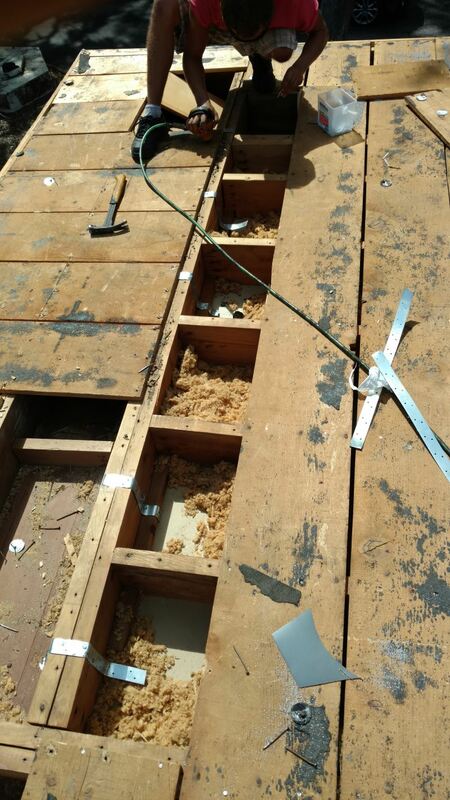 Installed termination bar where applicable. 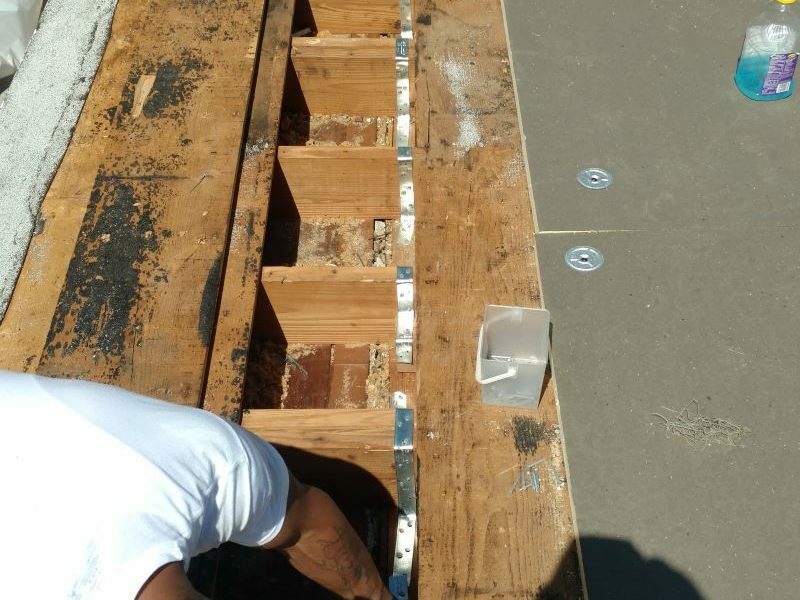 Installed/sealed new counter flashing along wall with proper fasteners. 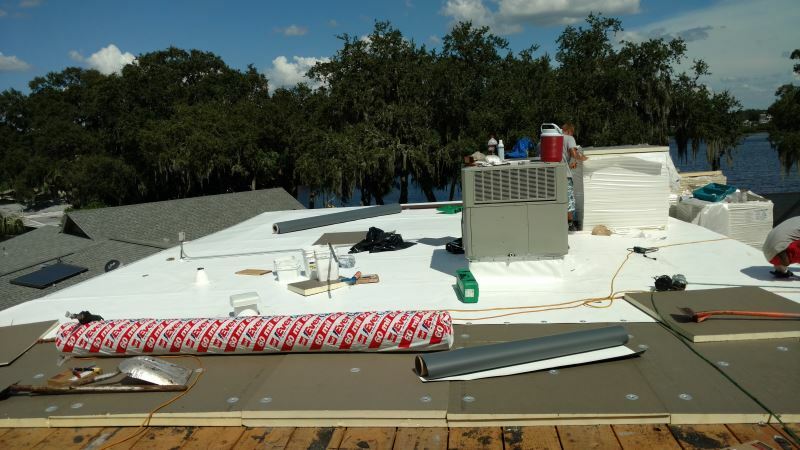 Included wind mitigation in contract.